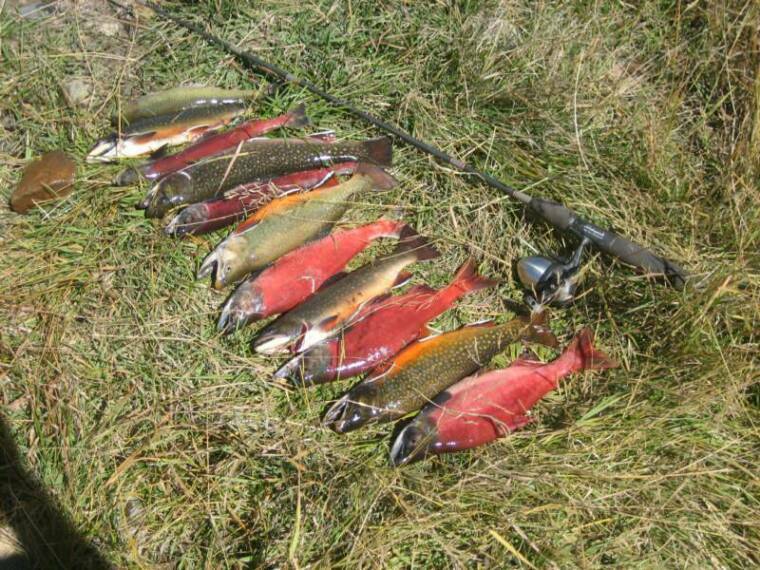 Brook Trout, Colorado Cutthroat trout, Kokanee Salmon, Rainbow and Tiger trout. High Savery Reservoir Fish Species. Sockeye salmon (Oncorhynchus nerka), also called red salmon are the same species, when it occurs in landlocked bodies of water it is called the Kokanee. Silver and White most of the year, The Kokanee salmon turn a bright red when they spawn in the fall. 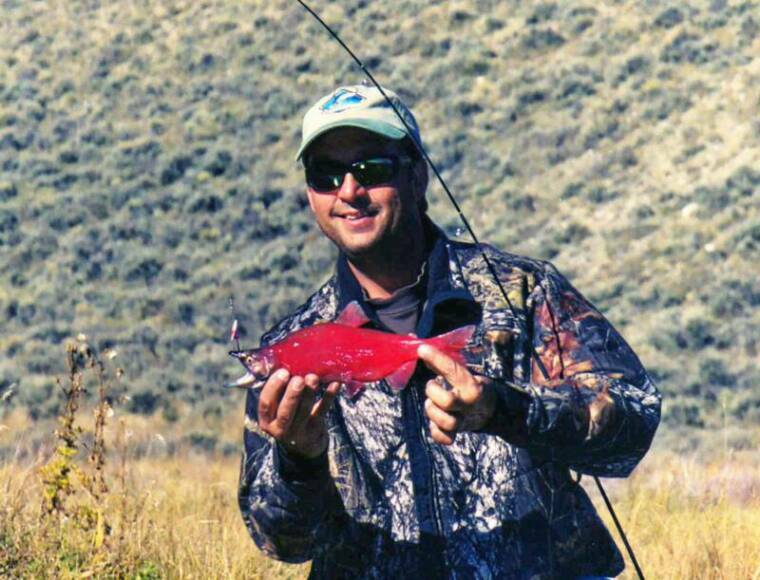 Nearly 30,000 kokanee have been stocked in the High Savery reservoir since 2004. 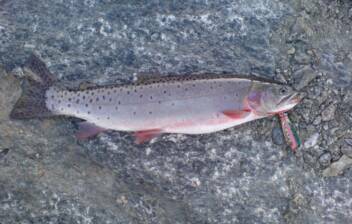 The rainbow trout (Oncorhynchus mykiss), was introduced to the area in the mid 1800s. Rainbow trout flourished in streams before the resivoir was built, and have made the High Savery dam their home. 2007 has found anglers catching more rainbows around 22-27 inches in length. 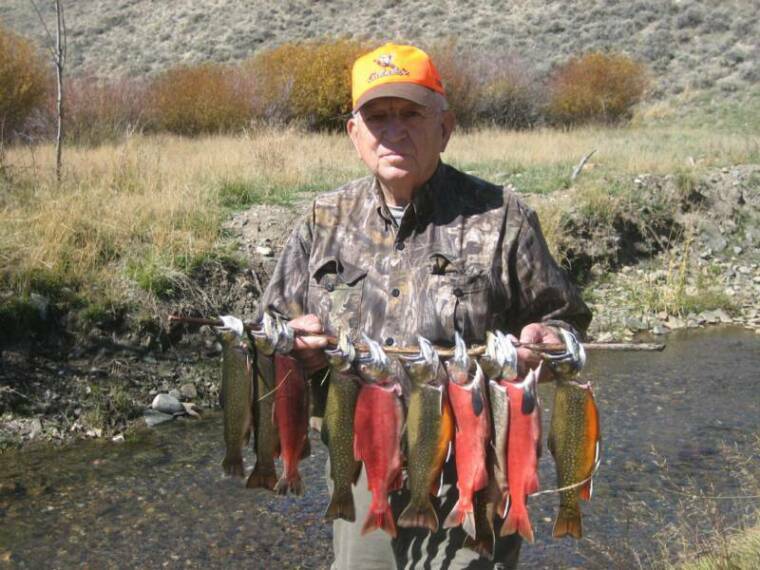 The tail waters of the High Savery damn have been stocked with approx 5000 Rainbow Trout. The tiger trout (Salmo trutta X Salvelinus fontinalis) is a sterile, intergeneric hybrid of the brown trout (Salmo trutta) and the brook trout (Salvelinus fontinalis). The name derives from the pronounced vermiculations, evoking the stripes of a tiger. 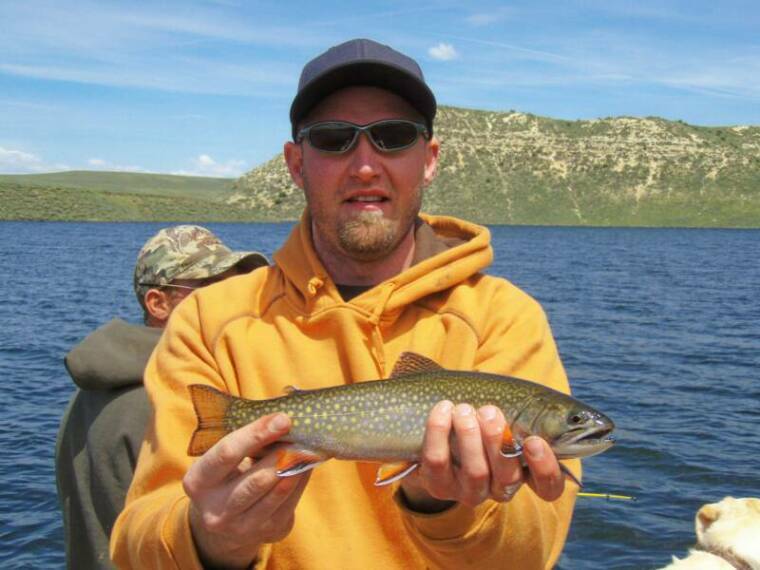 High Savery Reservoir is the only Wyoming water hosting the tiger trout species. 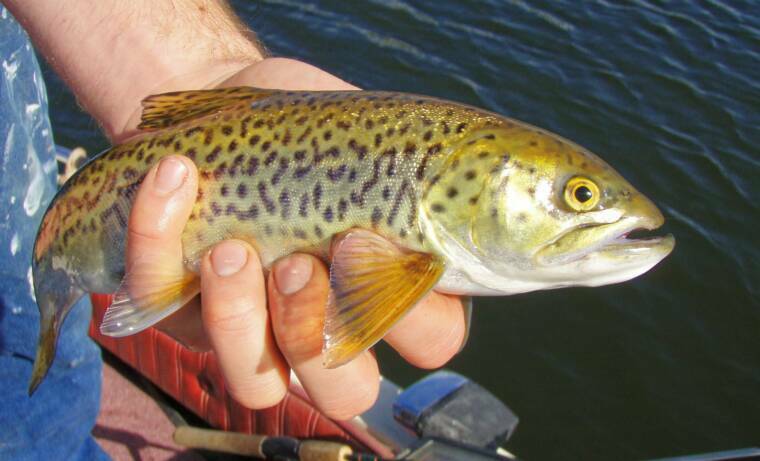 Approximately 20,000 tiger trout have been stocked. The Colorado River cutthroat trout (Oncorhynchus clarki pleuriticus) is a subspecies of trout native only to the Green and Colorado River basins, which are west of the Continental Divide. today scientists believe this fish occupies less than 1% of its historic range. Wyoming G&F is attempting to reintroduce the Colorado River cutthroat into the Little Snake River basin. This plan includes improving stream habitat and removing non-native species. The brook trout (Salvelinus fontinalis) much like the rainbow has emerged from the streams that now sit below the reservoir. There is a distinctive sprinkling of red dots, surrounded by blue haloes, along the flank. The belly and lower fins are reddish in color, the latter with white leading edges.